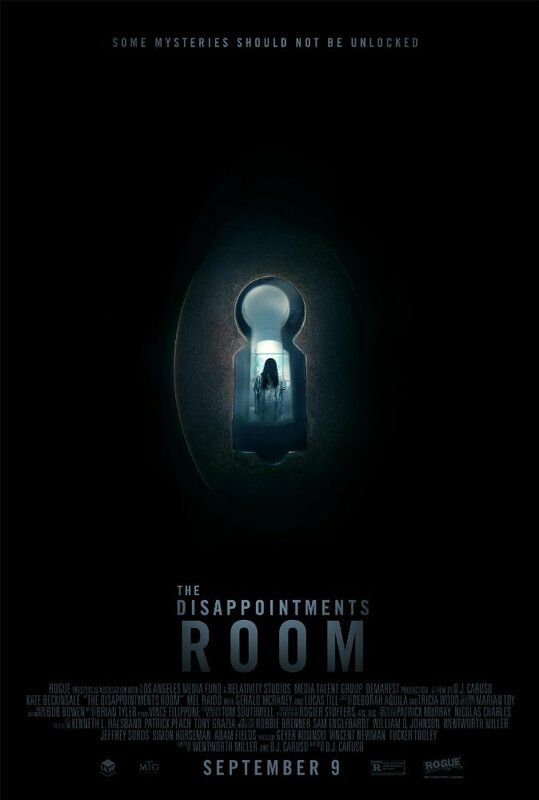 'The Disappointments Room' is a domestic drama/supernatural thriller that has been unfavorably marketed as a cheap horror flick and dumped (seemingly) last minute by it's bankrupt studio. This completely unremarkable mixing of various elements is presented as a slow family drama about grievance, guilt, and the psychological/family troubles that stem from a traumatic experience. I actually applaud the film for highlighting this as it's main focal point. The inner turmoil of the mother grows in tensity with progresses, giving us small flashbacks and clues to her past incident. I like the way in which this unfolds. It makes the revelation behind her ailment actually carry some dramatic weight. Very heavy material for a film such as this. Sadly, that is all I can muster for positives. The rest of this film is an utter mess. It's structured in the same format as your typical haunted house movie. Many scenes of intrigue involving the house's history, which would normally be the only focal point in similar fare, is treated as extraneous material. Many cliched moments show up only to be not used at all. Sufficient time is laid out for building up scares that NEVER even happen. There is not a single actual scare present. The 'ghosts' of the house hardly make an appearance at all. The title 'Disappointments Room' refers to the secret room in the house that drives the mother into investigation, but none of this ties in one bit with the family drama currently residing. It's like taking an already established story of heavy emotional themes and adding some short sequences where the main character thinks she saw a ghost. Why would you spend the time placing in this extra layer of intrigue and questioning supernatural occurrences if they have no correlation at all to the rest of film? It comes off feeling like a wasted afterthought. On top of that, the characters aren't even worth investing in, nor do they go through any change by the end. The mother is never given any resolution to her deep psychological struggle. This whole film, while originally well intended, is just pointless.